Learn more about the CPC program by listening to James Garrant's free webinar. As the bill collectors on campus, we are definitely one of the most hated individuals on campus. This session will review how to maintain your cool while dealing with students, parents, faculty and staff members. We will also have “story time” where we can share examples on how we diffused difficult situations. Students, parents, and the public in general seem to be getting less polite all the time. Can’t we follow suit? Oh yeah, I guess not. Join us for a not-too-serious look at the actually very serious topic of the importance of good customer service. Come prepared to share tactics and tips that work well in your office. Unfortunately, difficult people are everywhere. Maybe you’re one of them? Or maybe, everyone is difficult during certain moments of their life. Either way, eventually you’ll need to work or compromise with a person that you think is difficult. Be they co-workers, bosses, or customers, the potential for volatile situations with them face us constantly. Because the way we handle them can affect our job, our advancement, and even our health. This session will provide useful strategies for dealing with difficult people and the situations they can create and, hopefully, avoiding conflict! Barry covers updates on regulations governing the Family Educational Rights and Privacy Act (34 CFR Part 99). In this session you will learn of some of the exemptions of FERPA and techniques in training staff on upholding FERPA rules. Barry Greenberg worked at Southern Illinois University, Edwardsville (SIUE) for nearly 16 years. He was most recently Bursar for SIUE for eight years. Before that, he held the position of Audit Manager for the SIUE and SIU School of Medicine campuses. During his tenure as Bursar, he has overseen SIUE’s conversion to e-commerce applications, establishment of a satellite bursar’s office and adoption of new customer service initiatives. Jonathan Endman, Account Control Technology, Inc.
On July 10, 2015, the Federal Communications Commission issued a declaratory ruling affecting the Telephone Consumer Protection Act. The TCPA regulates the use of autodialers and other telephone equipment to contact consumers. The ambiguity of the FCC’s ruling makes high-exposure TCPA litigation that much more uncertain. This discussion will explore the key parts of the FCC’s ruling to assist in providing clarity to your TCPA exposure. Show Me The Money! We’d love to, but how? Phone calls, mass vs. individual emails, snail mail, post cards, blue paper, student/parent orientations, video clips - what works, what doesn’t? This session is a give and take on which best practices and lessons learned have proven to be efficient and successful collection tools. Come to find methods and tips that can help in your office, or share your own ‘magic bullets’ with others. This session discusses in-house collection practices and effective techniques to maximize staff time to cure accounts, which reduces accounts placed with external agencies. Ideas will be shared involving currently enrolled students, no longer enrolled students, and faculty/staff accounts. What can we do in-house before we send to an agency, and why would we choose to devote the time and energy when a third party will do the work for us? What techniques do you use in contacting students, skip tracing, and complying with regulations that must be followed? We all know the challenges with balancing our fiduciary responsibilities while also promoting the overall mission of student success. Some may not think that the Student Account office can have a direct impact on student progression, retention, and graduation. This session will review Student Account and other department policies and processes within the student life cycle that may help your institution balance collecting outstanding balances while still supporting student success. Setting up an internal collections unit in the Bursar/Student Account Office can be both cost effective, as well as a way to assist the school in improving cash flow. We will examine the basic structure of an internal collections unit; discus what makes a good collector, setting up a billing/collections strategy and when to send accounts out for 3rd party collections. We will also discuss the basics of the registration agreement and collection letters. Ray Kopitsch is currently the Director of Client Global Strategy at Cedar Financial. Cedar Financial focuses largely on the uniqueness and complexity of international debt recovery and has very high success in the same. Ray has brought over 17 years of experience and knowledge in the financial industry arena with expansive interest in business development. With Cedar Financial, Ray has dramatically expanded their global footprint. Lynn Heineman, Account Control Technology, Inc.
With a multiple of collection agencies in the marketplace, how do you choose the most effective agency for your institution? What should you look for when selecting a collection agency, how should you properly evaluate the agency, what questions should you ask and why does this make a difference in your selection? Nick Jarman, Delta Outsource Group, Inc.
As a creditor who outsources accounts to collection agencies, the only thing more important than how much revenue an agency brings in, is how they bring in that revenue. 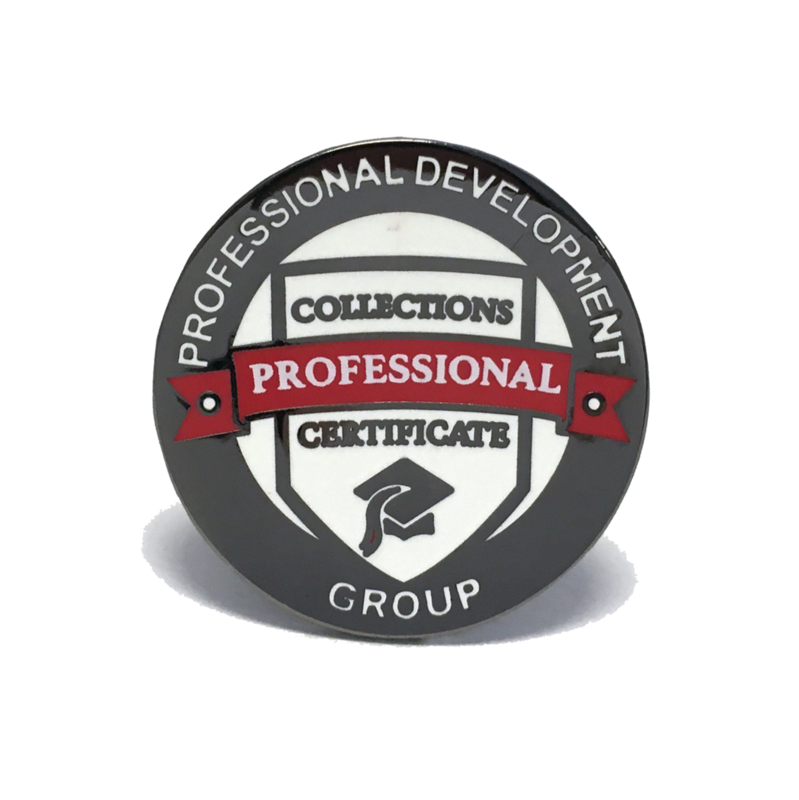 This course is a very unique opportunity to learn from a successful collection agency executive, Nick Jarman, who has spent the last 15 years pre and post CFPB, on the other side of the spectrum being managed by creditors of all sizes and seeing firsthand what works and what doesn't. Having worked under hundreds of different collection agency oversight programs from the largest banks in the country down to regional banks and local credit unions; from compliance and operations standpoint Mr. Jarman has been through it all. Be sure to attend this one of a kind, truly unique presentation and be assured of leaving with actionable information and knowledge you will be able to implement in your organization. With the advent of the Consumer Financial Protection Bureau, all collection agencies like to talk about compliance, but most of the time its just that...talk. In order to truly understand the quality and the risk of your relationship with your collection agency partners, it is imperative to pull back the layers of their Compliance Management System until the agencies true compliance identity is revealed. At the same time, there must be a keen eye on performance management in order to ensure their performance expectations are being met as well. The balancing act continues to be tremendously difficult for creditors in the current culture of compliance. Using a Collection Agency to assist you with your aged receivables can be a double edged sword. If you don't do your due diligence it can have an adverse effect on your school’s brand and reputation. On the other hand using a collection agency as a trusted partner can enhance your recoveries and even help you retain students. In this presentation delegates will learn how to determine whether using a collection agency is necessary, a structured selection process, relationship management, reporting, and complaint/issues management and driving agency performance.